The HD-7000 Plus offers the super heavy duty punching power of the HD-7700 without all the bells and whistles. The HD-7000-Plus is an exceptional table top punch that utilizes the same motor and drive train from the HD- 7700 and putting it in the chassis of the HD-7000. The HD-7000 Plus is a 14 inch opened ended punch that offers a Quick Change Die System for changing dies in 30 seconds or less. This quick change system requires no tools, there is nothing to take apart and all pins can be easily disengaged. Another great feature that the HD-7000 Plus offers is an anti-jam feature that detects punch overload to prevent damage to the machine. This punching machine has a legal sized throat which provides great flexibility for organizations that occasionally need to punch legal sized paper. The three hole die and the velobind die chart both have punching capacities of 50 sheets, whereas the double-o wire die, the plastic comb biding die, and the spiral plastic coil die chart have capacities of 40 sheets of paper. These punching capacities are some of the best in the industry, not many other machines can punch up to 50 sheets of paper at once. The HD-7000 Plus is extremely durable and features an extra high capacity chip tray. This punch machine is a heavy duty interchangeable die binding punch that is designed for print shops, binderies, copy shops, in-plant printers and professional organizations. The HD-7000 Plus is an excellent machine for users that need a heavy duty modular binding punch and do not have the money in their budget for a more expensive machine. If you have questions or are interested in purchasing the HD-7000 Plus, visit us at SpiralBinding.com. 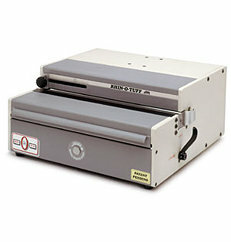 We have great pricing on a full line of Punching Machines. Call us at 1-800-631-3572 for more information!